Also wrote under the name Acton Bell. Do not combine Anne with either or both of her sisters. Thank you. 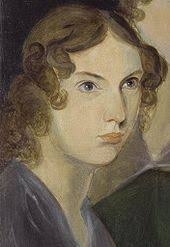 Anne was the youngest of the Brontë siblings. She worked as a governess and wrote stories and poetry with her sisters. Her literary reputation is based mainly on the two novels she published before her untimely death at age 29. Like her older sisters, she used a masculine-sounding pseudonym for publication of her writing because of 19th-century prejudice against female authors. Anne Brontë is currently considered a "single author." If one or more works are by a distinct, homonymous authors, go ahead and split the author. Anne Brontë is composed of 15 names. You can examine and separate out names.